Milo Luttrell never expected to step inside the mouth of an ancient cave in rural Tanzania. After all, he's a historian—not an archaeologist. Summoned under the guise of a mysterious life-changing opportunity, Milo suddenly finds himself in the midst of an expedition into the largest underground system in Africa, helmed by a brash billionaire-turned-exploration guru and his elite team of cavers. It's a once-in-a-lifetime chance to finally solve a century-old disappearance of the famed explorer Lord Riley DeWar, an enigmatic figure who both made—and nearly ruined—Milo's fledgling career. Determined to make the most of his second chance, Milo joins the team and begins a harrowing descent into one of Earth's last secrets: a dangerous, pitch-black realm of twisting passages and ancient fossils nearly two thousand feet underground. But when a storm hits the surface base camp, stranding the cavers and washing away supplies, all communication to the outside world is lost. 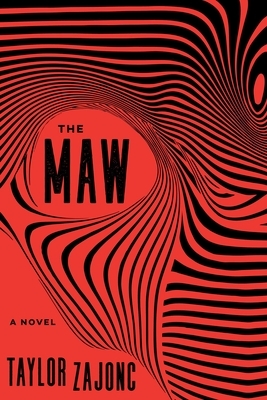 As the remaining resources dwindle and members of the team begin to exhibit strange and terrifying abilities, Milo must brave the encroaching darkness to unearth the truth behind DeWar's fascination with the deep—and why he never left.